Will Magazines Be Completely Tabletized? | Business Article | MBA Skool-Study.Learn.Share. Will Magazines Be Completely Tabletized? It started with the Apple iPad. Now every computer manufacturing company has its own tablet. To list out all the changes in the market that the tablets have brought about would be a really lengthy ball game. More like a test match. But since it’s the age of T-20 format, let’sfocus on one aspect of the changes brought about by the tablets: The magazine industry. Magazines have gone a significant change in their delivery system as people can now download the digital versions of magazines on their tablets and not compromise on their reading experience. Before the advent of tablets, the digital reading experience did not pose as an alternative to reading in print. But the outset of the tablet changed this altogether. What has made the tablet so remarkable is that it took the paginated experience of print, and combined it with the interactive and multimedia capabilities of the Web, and the relative portability of a tablet. However, with the limitless possibilities associated with the digital format of the magazine, this clichéd experience is soon going to get questioned not just by the consumers but also by the publishers. In the last few years, the online streaming of entertainment media, i.e. movies and tv shows, has taken a rapid growth trajectory in the US and many other nations. Netflix, Hulu, iTunes and other such streaming services bring entertainment directly to the consumers via online streaming. The best part is that they allow unlimited online streaming of thousands of movies and TV shows available at a nominal monthly charge;much like a DTH cable connection. Such a service in the case of magazines would be revolutionary. Some websites do offer access to journals and reports in much the same way. Now even the magazine industry is going forward with development of such a service. Here is the tricky question. Is there enough incentive to create this kind of a service? First of all, with only 1% digital circulation of magazines in the industry, there are no guarantees of acceptance of such a service.Secondly, not all magazines are available in the digital format and even though many magazines are fast changing that, it is going to take some time before each and every magazine does it. Thirdly, some publishers bundle their subscription, i.e. they provide both print and digital format, which rules out the need of such a service. Also, based on the research done in this regard, it has been seen that while young people are interested in e-readers and digital magazines, two-thirds of them do not want to give up on their print-reading experience. On the other hand, consumers haven’t had much compelling reasons so far to pick up a digital magazine instead of a printed one. And this kind of a ‘monthly fee’ service can actually change that. The basic subscription proposition benefits the consumer. He can get access to a library of magazines from all across the globe onto his tablet and he does not need to pay additionally to access each and every one. Again, an important incentive to publishers is that readers will now also start looking at magazines that they have not seen so far (as they do not have to pay specifically for that magazine), thus improving readership of their magazine. The reach will also improve. Many small publishers will get opportunity to showcase their work on a large scale and get tremendous feedback. The story isn’t complete yet. The piracy issues will plague the digital magazine sales, just as they plague the entertainment media industry with torrent downloads far exceeding the paid ones. Another reason to worry is the fact that the information needs of the consumer are now being googled more than even. Sooner or later, the digital experience may go in for a toss and it may have to be redefined again, with digital magazines being unbundled to sell individual stories, just as iTunes sells individual songs in an album. Even the currency is taking a major overhaul right now. Google wallet and Square are changing the credit card experience by turning the cell phone into your digital wallet. In a world with such rapid innovations, the cell phone may become the only thing you need to carry with yourself, thus making the tablet obsolete. 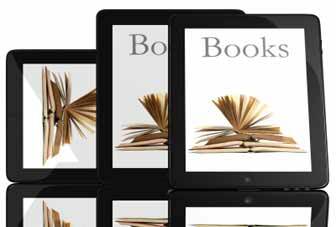 The limitless possibilities of the internet along with the portability of tablet make it a great device to be used for providing magazines in the digital format. In the digital format, the content of the magazine can be linked to other content (in other sources and archives) and can effectively be used to generate user comments and reviews about the article and/or the issue at hand. The authenticity of the facts can be verified by linking them to their genuine sources and further material can be added even after the publishing of articles. It would also allow the consumer to directly follow his favorite writer on twitter and read other articles written by him. The subscription service, like Netflix, could also be aligned to show articles suiting your interests, moods or some story being talked about in your social media feed. With the fast pace of information gathering and accessibility, it is important to take the magazine in the digital format. Even though the print format is not going to die yet, the digital format has great implications and utilities in the present scenario, and publishers and IT companies will have to come together to build the next generation of digital magazine accessibility and distribution system. This article has been authored by Ashish Chopra from International Management Institute, New Delhi. Can iPad Replace Print Magazines?